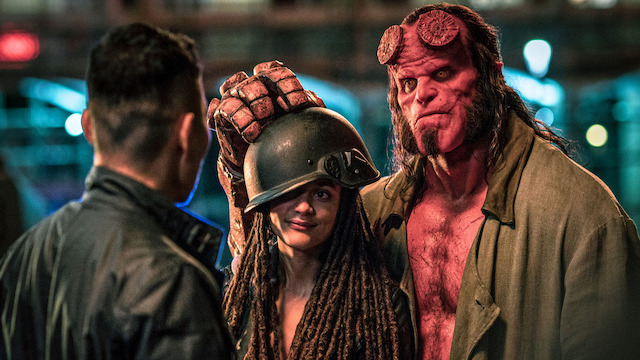 Lionsgate’s R-rated take on Hellboy is now in theaters. However, early feedback about the film hasn’t exactly been glowing. Many critics consider it a big step back from Guillermo del Toro’s previous films. But that apparently doesn’t faze the hero’s creator, Mike Mignola. Despite negative feedback about the film’s story and over-the-top carnage, Mignola refuses to read the reviews. While speaking to Vulture, he acknowledged that they exist, but vows to stay away from them. Del Toro’s original Hellboy movie came out in 2004 to mostly positive reviews. Hellboy II: The Golden Army followed four years later, with an even higher score from fans and critics. The reboot had a lot to live up to. However, some fans have come out in defense of the film. You can see some of those tweets below. Saw Hellboy. Campy and fun, very Army of Darkness vibe. Solid B movie if you’re okay with that. The 10% RT score seems way off imo. Although Hellboy isn’t likely to repeat the box office success of its predecessors, it should find a following with Hellboy fans. It could even gain cult status, just as del Toro’s films have done over the years. You can check out Hellboy in theaters now. Will you see this R-rated reboot? Let us know in the comment section below!